The broad range of Toby's work encompasses domestic, boardroom, church and street furniture. He also makes mirrors, trays and other small items for sale through selected galleries and exhibitions. Combining modern and traditional techniques including distinctive marquetry his pieces have simple classic lines reflecting varied influences. 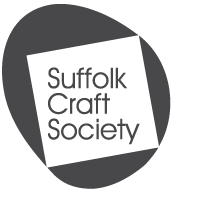 He currently holds two Guild Mark Certificates, is a member of the Society of Designer Craftsmen and a Crafts Council selected maker. Ashdon steps - made in English Cherry and Bog Oak, with marquetry decoration. The steps follow a design style seen on other pieces in Toby's collection. Trompe l'oeil marquetry is a favourite addition and is used with restraint to enhance rather than dominate. Wax finished. Solid timber.